With a comedy career now spilling over 13 years this powerful woman brings an honest, in your face, and hilarious perspective to her shows. She has appeared on TV Guide Network’s “Standup in Stilettos”, and Nickelodeons “Mom’s Night Out”. She is a regular guest on the syndicated Bob and Tom Radio Show, and appeared on Katt Williams DVD “Kattpacalypse”. She has become a Podcast celebrity with appearances on TalkinS hit with Eddie Ifft, WTF with Marc Maron, The Joe Rogan Experience, Ari Shafir’s Skeptic Tank, The CrabFeast with Ryan Sickler and Jay Larson, and Your Mom’s House with Christina Pazsitzky and Tom Segura, the Bertcast with Bert Kreischer. 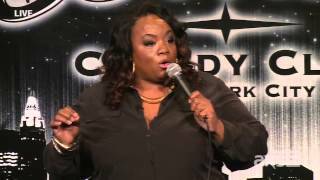 In January of 2015 she appeared on Comedy Central’s “This is Not Happening” and NBC’s “Last Comic Standing”.